TUCSON, AZ (Tucson News Now) - In November, Tucson residents voted to remove traffic cameras from eight intersections across the city. 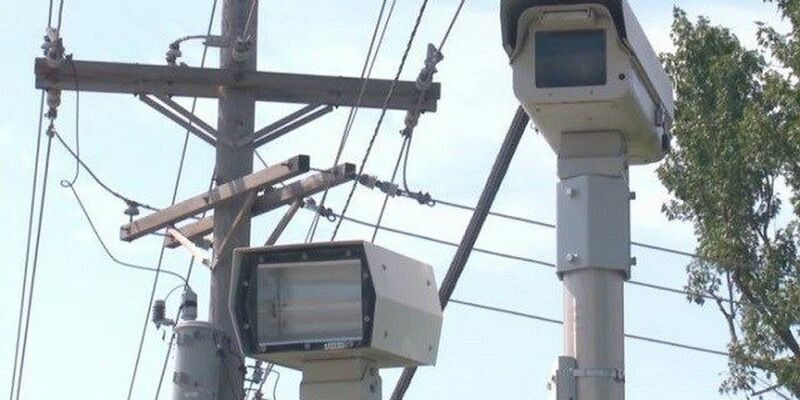 The tickets stopped immediately but the cameras stayed on for another 60 days, recording drivers speeding through intersections and blowing past red lights. From Nov. 4, 2015 to Jan. 4, 2016, authorities reported a 107 percent increase in red light violations and a 126 percent increase in speeding compared to the same time last year. SLIDESHOW: A breakdown of all eight intersections is available HERE. EXTENDED DATA: A look at the red light and speeding comparisons for all 26 cameras is available HERE. Some were not surprised by the numbers. Maria Velarde drives through two of the intersections on her way to work. She said she noticed the change in driving almost immediately after the cameras went dark. "There's a little more carelessness," Velarde said. "People are driving faster through the intersection. Before people would start slowing down at least a block before the intersection. Now it seems like they are speeding up almost." Another intersection caught the attention of the Tucson Police Department. Eastbound Grant and Swan led the increase in both red and speed on green violations. The camera showed a 505 percent increase in red light runners while speeding on green increased 341 percent. The TPD said they are considering increasing patrols at the eight intersections which used to have cameras. "I can see that as a possibility," said Lt. Jamie Brady with the TPD Traffic Enforcement Division. "I can't say for certain that we will deploy at every one of those intersections, but we will definitely take this data and reevaluate how we are deploying our resources." In December, the TPD started using a $75,000 grant from the Governor's Office of Highway Safety to combat aggressive driving behavior. They targeted the six intersections in the city with the highest number of collisions. The intersections are: Kolb-Broadway, Speedway-Campbell, Golf Links-Swan, Broadway-Wilmot, Kolb-Speedway and Grant-Alvernon. The enforcement is scheduled to last through May 2016. The grant is enough to fund three deployments a week with each deployment lasting three hours. Getting a ticket in these areas will cost you. Speeding tickets are $207 to $421, depending on how far over the posted limited you go. The fine for failing to stop at a red light is $337 and it will cost you $227 for following too close, failing to yield or failing to stop at a stop sign.